Certain alerts, such as "No Edit Behavior", display in alert dialogs. To get rid of the alerts, you have to click OK. However, these minor alerts can be minimized to the Mode bar thus eliminating the need to click OK for every minor alert. 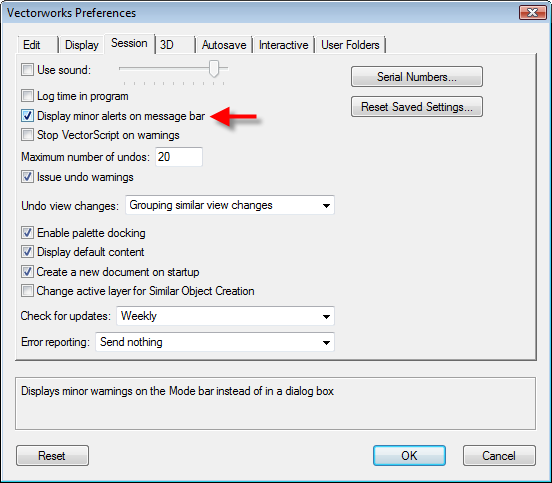 To turn this setting on, go to Tools>Options>Vectorworks Preferences. Under the Session tab, check "Display Minor Alerts on Mode bar".